I picked up a couple of items from BeautyCrowd (blog post here) which included a range of make-up brushes by Barbara Hofmann; Round Foundation Brush for £9.95, Round Blender Brush for £4.95, Large Powder Brush for £12.95, Angled Blush Brush for £7.95, Flat Eyeshadow Brush for £4.95 and the Angled Eyeshadow Brush for £4.95. This is one of the softest powder brushes I have come across, the synthetic fibers creates a flawless finish to set your powder after makeup. This is one of my favourite brushes to use, which comfortably fits in your hands and have replaced my Real Techniques duo-fiber face brush. I found the brush to be on the small side, as it took a while to apply foundation, so I used this for my Bourjois Bronzer Primer , it is excellent for getting right under your cheek bones, for that contour chiseled look. I've experimented the brush to set powder, but it works better for liquid products. You can also use this as a concealer brush for under your eyes. I used this brush to apply the Milani Illuminating Face powder, as it gently sweeps the product across your cheeks. The angled aspect of the brush enhances your features such as your cheek bones as it picks up the right amount of product. The bristles too are extremely soft and gives an overall even application. This brush has become one of my favorites I lean towards to. The brush is densely packed therefore is great for packing on eye shadows when you want that pop of colour or effect. It also blends really well but I found the brush to be a bit big for my small eyelid space, but when you apply it doesn't cause a problem. This brush is amazing for detailing, such as under eye eye shadow application, tear duct application or even to enhance your eye-shadow application on your crease. The brush is extremely soft and does not tug on the delicate areas around your eyes. I use this brush when I am going to a smoky winged eye look, the slant on the brush creates great precision in your makeup application. The top 3 I would pick out of the 6, would be the Angled Blush Brush, Large Powder Brush and Round Blender Brush. 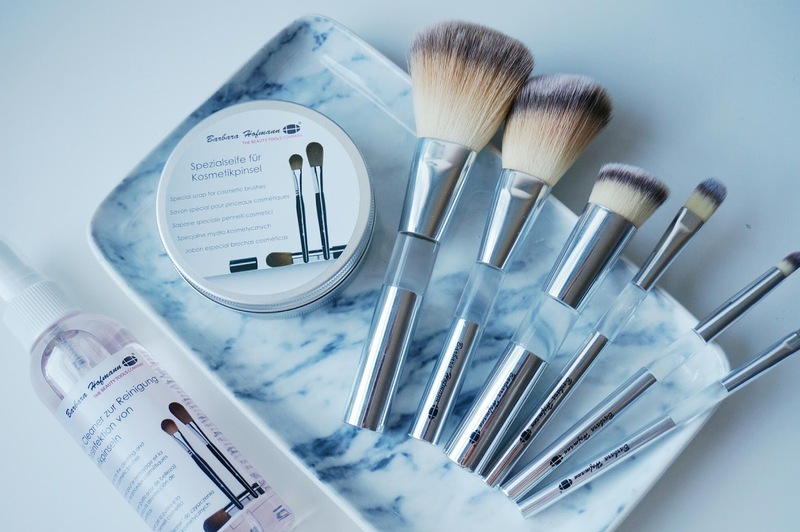 Have you tried any brushes from Barbara Hofmann?